thus the line was designed for the woman who takes beauty seriously. 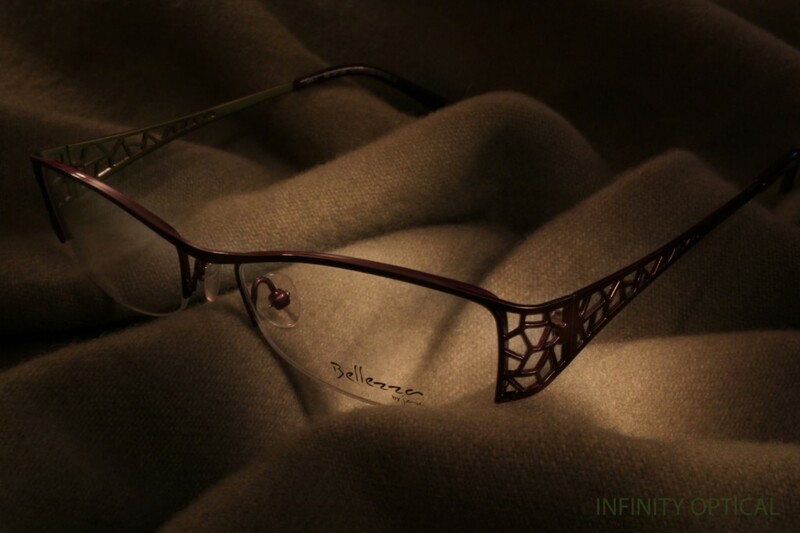 The collection features a combination of full and semi-rimless models. Each model features colourways and detail that is truly one of a kind! We design each model for the woman in the forty-plus age group in mind. The woman who is needing a progressive, but doesn’t want to lose her youthful look. the quality is exceptional, the fit is beautiful, and the colour palette is unique, yet wearable. Available only at leading independent eyecare professionals. Made in Italy. Classic silver/black front. Nickle Free Hypo-Allergenic material. Brushed temple is accented with Bezel set rhinestones. Silver / Black A. 51.0 B. 34.0 ED. 46.